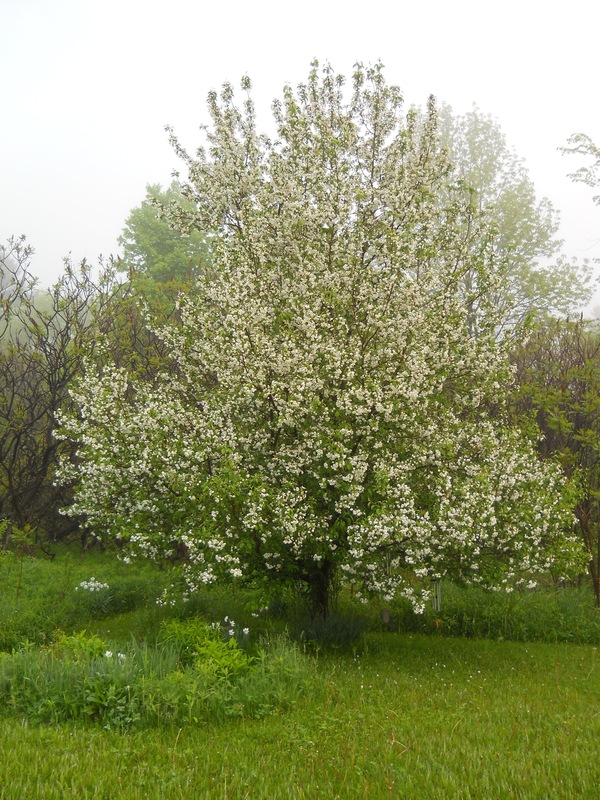 Since I don't have any food photos today, I thought I'd share this picture of my crabapple tree. Purchased 13 years ago for $5, it was a leftover from our library plant sale. A tiny thing when planted, look at her now! I usually go grocery shopping on Saturday, which tends to mean fish for dinner. Since looking into the fish case these days is mind-boggling (Which fish shouldn’t I be eating? What is swai? Char? ), I tend to stick with what I know: cod, haddock, and wild-caught salmon. Here are two sauces to top white fish and salmon that are both delicious and super easy! Sorry, no measurements here, I just place everything in a small bowl, approximate, and taste along the way. If you have a pound of fish, about a 1/4 cup of sauce will be plenty. Topping with panko crumbs is a nice contrast, making the creamy fish crunchy. In a small bowl, mix all the ingredients together. Lightly sprinkle the fish with cayenne pepper, if desired. (Cook’s note: I once saw the famous chef Jean-Georges Vongerichten explain that he always preps white fish with a dash of cayenne and I’ve been doing it ever since. Just a tiny bit, as cayenne is extremely potent!) Cover the fish with the sauce and top with panko crumbs, if using. Bake at 350 degrees until fish is flaky, about 15-20 minutes or so, depending on your oven. You won’t believe it, but this recipe is based on one from those little cards you find near the fish monger at the grocery store! Years ago, a friend made it for me, gave me the recipe, and I’ve been making it ever since! Place all ingredients into a saucepan and bring to a boil. Cook for 5 minutes or so, or until sauce becomes slightly thick. Place the fish in a pan lined with aluminum foil, top with the sauce, and partially cover. Bake at 350 degrees until flaky, 20-25 minutes or so. If you’re grilling, brush the fish periodically until it is finished cooking.